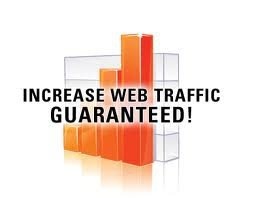 Today i am gonna reveal simple marketing trick that will boost traffic to your website, blog or any page. How this Method works ? Simple! First you will need Free or Paid account at Traffic Ad Bar and Heat Leap, for this step you will need about 10 minutes. you will see links like this! Those links in RED are cloaked links with Traffic Ad Bar short link that will earn point for us and that means more traffic! Leave all settings as it is and click SUBMIT ! And finally you will go to section EARN TRAFFIC and you will Download Heat Leap TE Browser and install on your PC. IMPORTANT: you can apply this method also with Traffic Ad Bar and TEWEBSTAR and with 1Profit Ring ! Hi Zoran, great website and this was a very informative blog post and you gave me an idea for my next blog post so thanks for sharing. I’m already a member of the websites you shared and I can say that these sites do work, it’s just a matter of being active and consistent with your marketing. And whatever you do you must have your own list building system integrated in some way so you can follow up whenever people take action or the system that you use must have a way to email other members or have a way to extract the email addresses from all members or at least all members that signed up under you using your link. I hope this is helpful to you and I would like you to leave a comment on my website too, you can find me by doing a Google search with my name; "Ricardo Penders" or my brand; "_SoHarD_dB_w@®Ez_"
Hi Ricardo, thanks for stopping by and commenting, yes this is one of the many free methods that members dont or dont know how to use it. Hi I am new t this, I registered with the site traffic Ad Bar, but I cannot see your links on the Dashboard. You say just scroll down a little but I cannot see anything. I am using Firefox browser. hi Stephen , what my links cant you see ? Hi Please ignore my previous message, the problem I had has been resolved.